August 2016 .. new resources for updated geographic reference and statistical mapping and geography for census block demographic analysis. See the 2016 digital map database main page for general information and related geography. This view illustrates use of 2016 census block shapefile to develop a thematic pattern map of the McKinney/Collin County, TX area showing total population by census block. Use resources described in this section to develop similar maps for any part of the U.S. This section is focused mainly on accessing and using 2016 census block shapefiles. 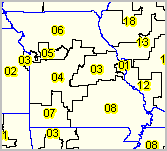 Census block shapefiles are organized as state-to-state files. Census blocks cover the U.S. wall-to-wall. 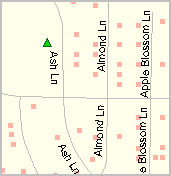 In general, census blocks have boundaries as defined by the related TIGER/Line roads shapefiles. Use the U.S. by state interactive table below to examine attributes of TIGER 2010 & 2016 census block characteristics. ProximityOne developed this table by processing each state census block shapefile. See about using the edges shapefile with the CV XE GIS software below in this section. The Census Bureau does not make available census block shapefiles with integrated demographics nor 2016 vintage census block demographic data files. See information below on acquiring these data from ProximityOne. 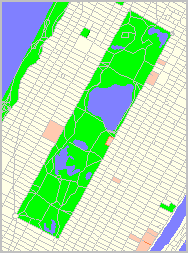 Census blocks are geospatially defined for a decennial census.  The number of census block and geocodes generally remain constant for the 10-year period.  Census blocks are the smallest geographic area for which Census Bureau data are tabulated. 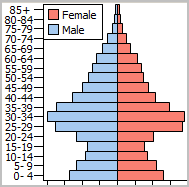  Census block demographics are only tabulated from the decennial census by the Census Bureau. ... there are no post Census 2010 census block demographic updates developed by the Census Bureau. ... the exception to this are special censuses conducted for fee by request of local areas.  Boundaries for many census blocks change through the decade (more on this below). ... there are many reasons that for block boundaries changing. ... the most common reason is due to corresponding street/road boundary updates. 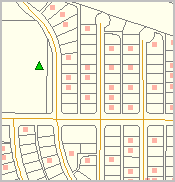  Geocodes for census blocks are generally constant throughout the decade. 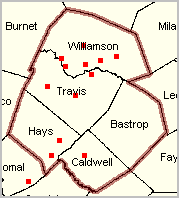 ... block geocodes can change when a corresponding county is reorganized and the county code is changed. 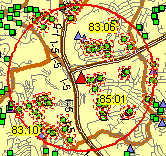 ... block geocodes can change when a corresponding census tract is reorganized and the tract code is changed. ... there are many instances of such code changes, they affect perhaps one percent of all blocks. 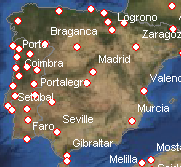 The following sequence of graphics shows an example of census blocks in context of related geography. 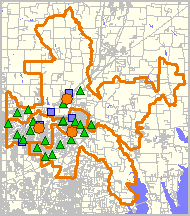 These applications focus on an area in McKinney/Collin County, TX, part of the Dallas metro. See the related step-by-step summary of how you can create these and similar map views using CV XE GIS below in this section. This sequence of views starts with neighborhood/detail ending with larger regional views. - Blue fill pattern is McKinney city; more below. 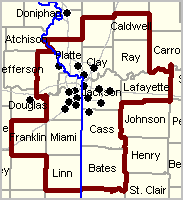 - 2010 vintage blocks: red boundaries; 2016 boundaries: black boundaries. .. 2010 blocks sits "below" 2016 blocks; red only visible when different from 2016. .. 2016 blocks reflect improvements to roads which were corrected after 2010. - view shows a mini-profile for the 2010 vintage block yellow highlighted (block 480853053234036). - view shows a mini-profile for the 2016 vintage block yellow highlighted (block 480853053234036). - note the block code is the same as for 2010. - A zoom-out shows the McKinney city with blue fill pattern. 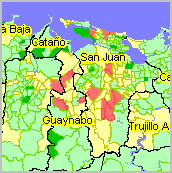 - broader county view shows extent of how block boundaries differ (where red visible). The shapefile includes 4 files with extensions ..prj, .dbf, .shp, .shx. Some applications (non-GIS) require only the DBF file (alternatively available as CSV; CSV does not work with shapefile).  includes an extended set of geocodes. .. directly associate city, CBSA, school district, other areas, not directly possible with Census version.  includes integrated demographics, not included in Census version. .. Census version includes no demographics. .. block attributes file alone also available as CSV (rather than dBase). 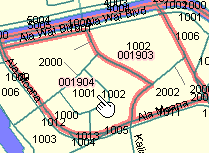 Geocodes included are updated/current values for fields included in the original Census 2010 SF! geo header record (pdf; see page 2-8).